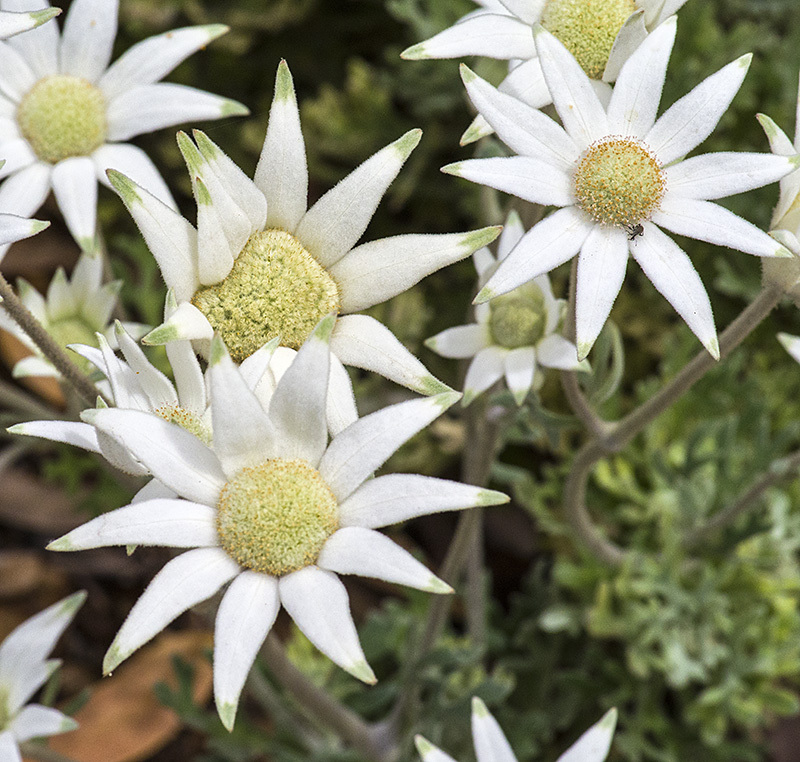 Flannel flowers, Actinotus helianthi, are a classic wildflower of the Sydney region especially in coastal areas. They also extend into nearby highland areas such as where I live. The petals have a very soft flannel light texture. They like sandstone heathland areas but around here grow as an understory layer an open eucalypt forest. A great wildlife-image has been send, what an excellent details&BG of "Flannel flowers"
Lovely flowers. Superb white colors. Well placed the one o'clock and seven, nice composition good shot. Excellent exposure on such white petals.,Ian.Well captured with good details and POV.